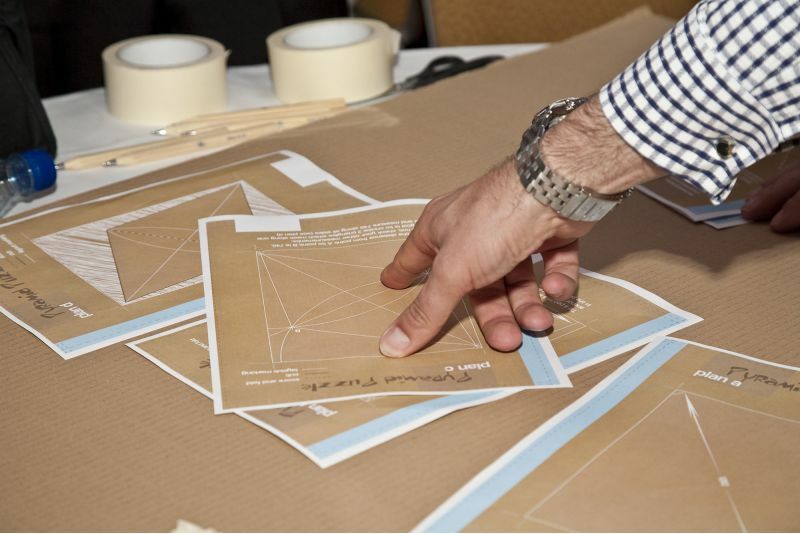 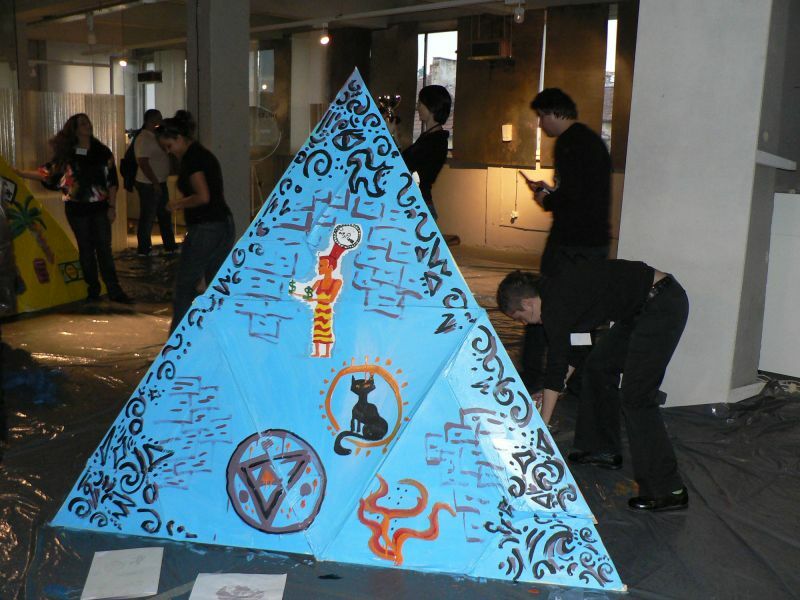 In this innovative and fun team building activity, each team is supplied with equipment, tools and detailed construction plans and tasked to work together to turn a 'flat-pack' kit into a giant pyramid. 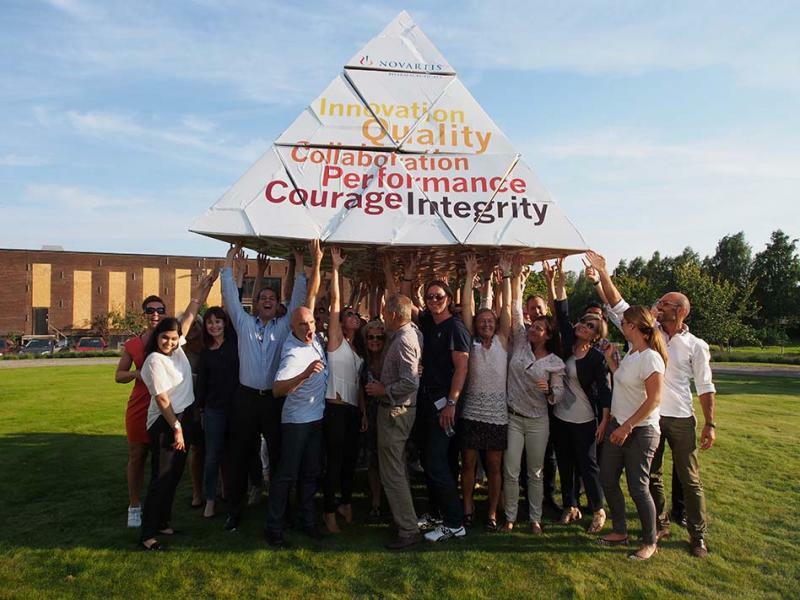 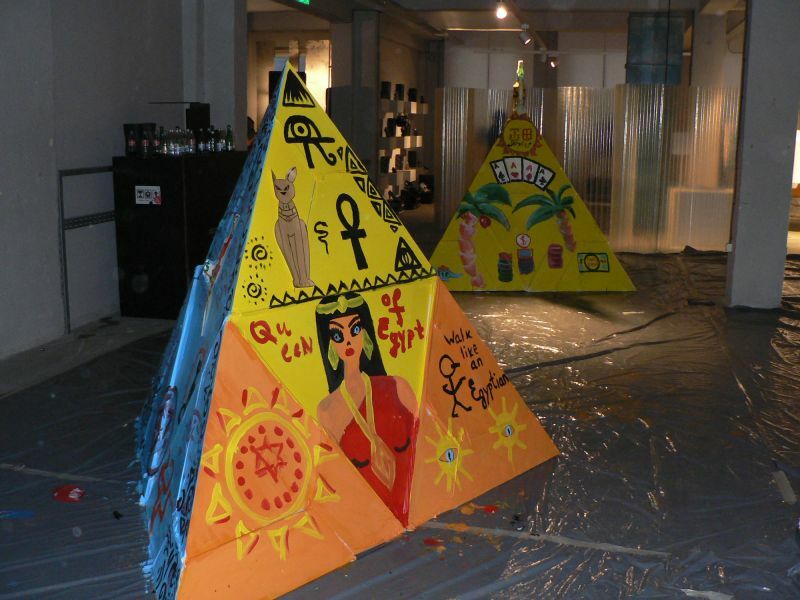 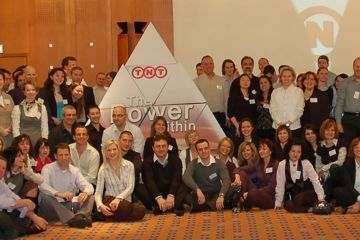 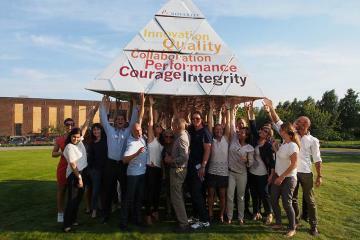 Once the individual team pyramids have been constructed, teams decorate their pyramid with slogans and colour, which can be aligned to reinforce your brand message, conference theme or perhaps a charity of your choice. 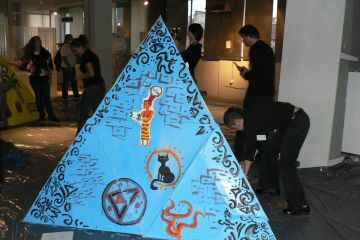 The decoration of each pyramid should work as a uniform design when joined with other segments of the pyramid. 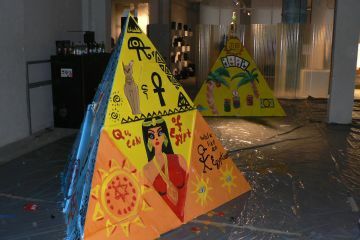 Alternatively, bespoke stickers can be made to adorn the sections of your pyramid once combined. 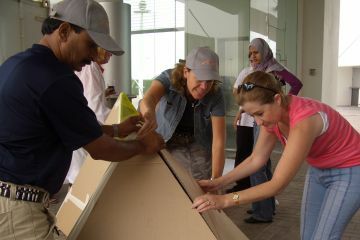 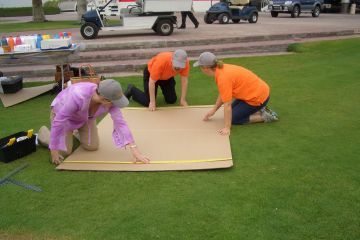 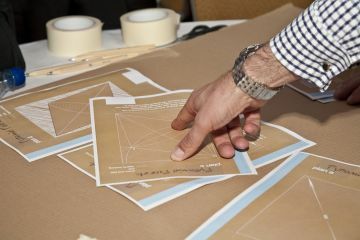 The challenge continues in a whole group rewarding collaborative team building activity, when all teams come together to construct a gigantic pyramid from each individual team's pyramid. 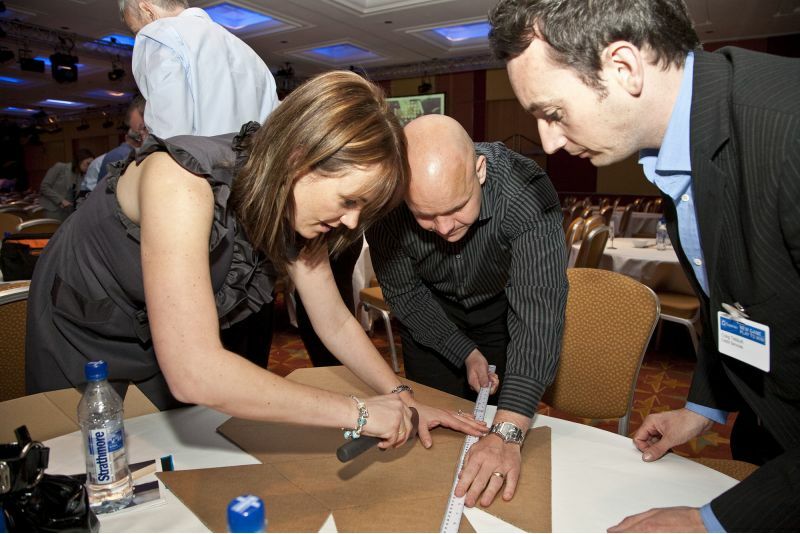 This popular team building exercise begins with a ‘me focus’ as participants work on their own part of the puzzle, with resource management and quality control essential to ensure the fundamental building blocks are produced on time and to consistent high standard. 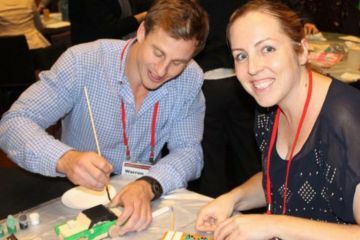 ‘Team focus’ follows as individuals come together in an interactive problem solving exercise which creates the next stage of building blocks. 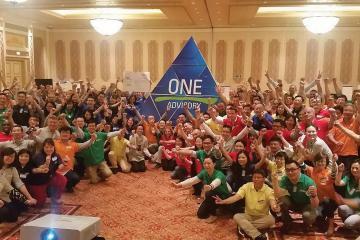 ‘Whole group focus’ is then required to achieve the common goal of combining all of the elements into a cohesive pyramid. 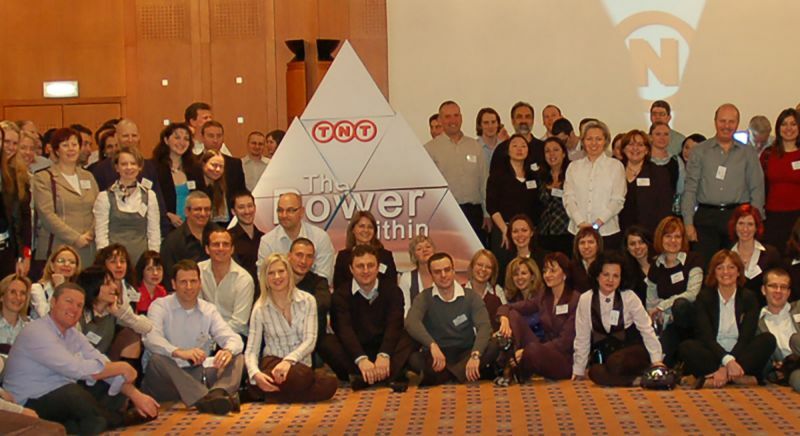 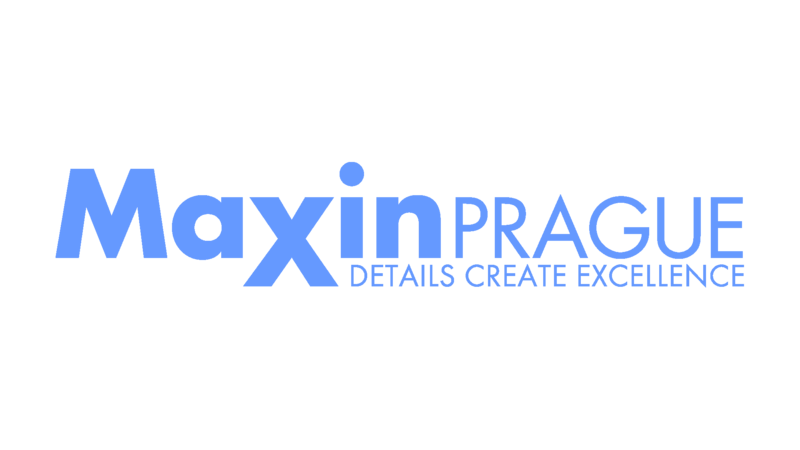 Your company message is instantly reinforced as it forms part of the final construction. 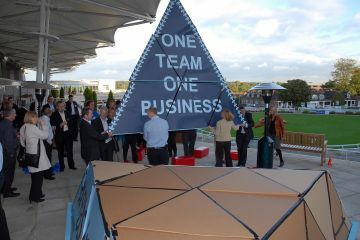 It stands tall as a reminder of the power of working to a common goal. 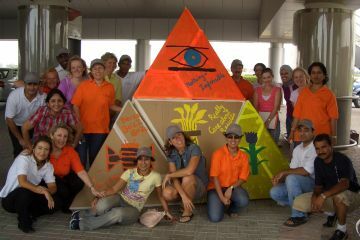 Problem solving skills are required to construct a series of shapes and then form them into a pyramid - its like a giant 3D puzzle! 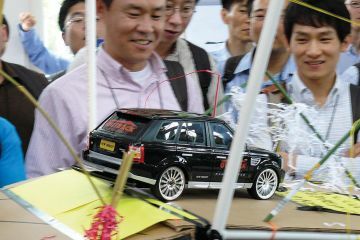 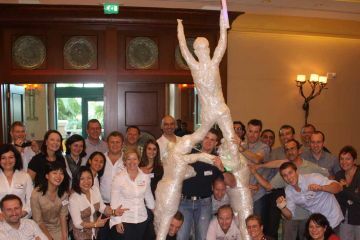 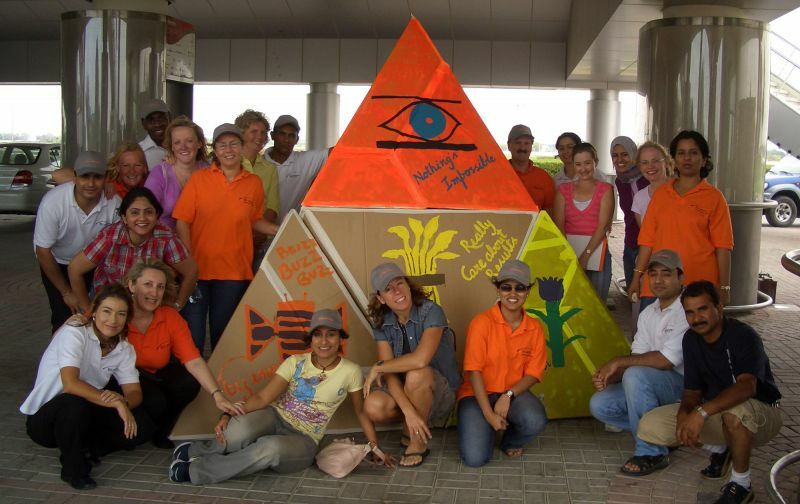 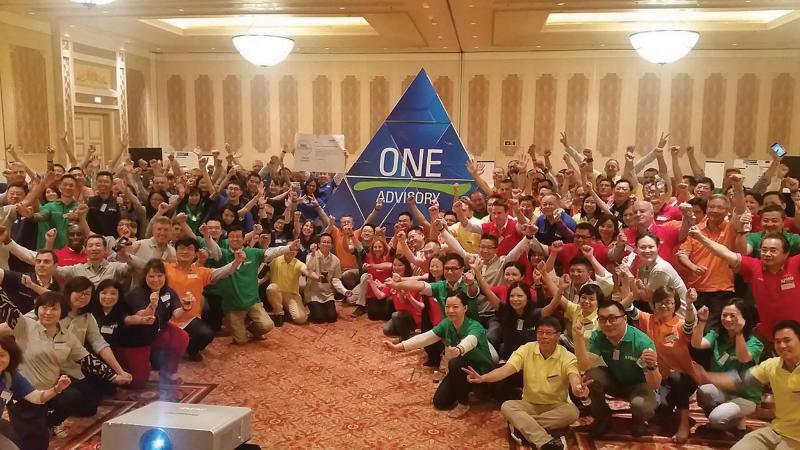 Flat Out Pyramids is an exciting and fun team building activity with a real sense of purpose and has aligned our team members to the company Vision and Mission.